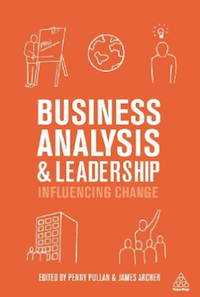 Business analysis provides the foundation for almost every kind of business change. Business analysts investigate the work of the business to find both the problems to be corrected and solutions to improve the business processes. 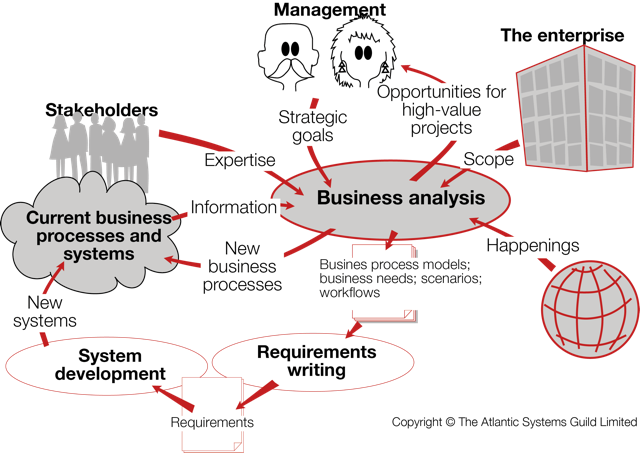 Business analysis is a combination of modelling, systemic thinking, innovating, communicating, process analysis, persuasion and several other analytical skills. In short, the task of the business analysis is to uncover the real business, and communicate it in such a way that all stakeholders come to a consensus on the best way(s) to improve the business. The business analyst is both a modeller and a communicator: Models are used to understand the processes, information and behaviours that make up the business.The analyst must also communicate this understanding clearly so that all stakeholders arrive at the same view of their business. The analyst is charged with guiding the business-oriented aspects of the project ensuring that the right problem is being solved, and finding innovative and optimally-beneficial solutions. This course teaches you on how to do that. We also believe Users and Software Customers will benefit from learning advanced business analysis techniques, and will understand better how these can contribute to the organisation's wellbeing. Our businesses thrive or flounder on the effectiveness of their business processes, both automated and manual. Businesses with good processes provide a better service and are more responsive to their customers, and vice versa. This two-day course in business analysis gives you the skills and tools to discover your client's real business, and to determine and demonstrate the best ways of improving it. This course is a natural companion to Mastering the Requirements Process, where we teach the art of requirements writing. The models and understanding produced by Mastering Business Analysis are the optimal input and foundation for your requirements process.